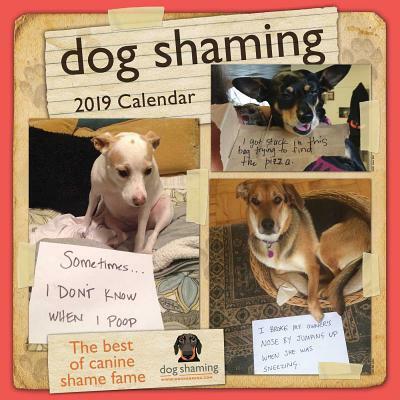 Celebrate your love for dogs—and your occasional frustration with their misdeeds—with the Dog Shaming 2019 Wall Calendar. Everyone who has shared life with a dog can relate to the crazy antics and appreciate the adorable expressions that make it hard to stay mad at our furry friends for long. Each monthly spread features a themed collage of photos submitted to the popular Dog Shaming blog. Dog lovers will enjoy the variety of dog breeds, the funny stories, and the creativity of the owners. The calendar includes sizeable monthly grids for noting celebrations and vet appointments, as well as an additional spread for September–December 2018.